Sweet little Rose! Such a beauty to photograph and her brother could not have been more in love with her. Amazing that even with the second baby there are always new challenges that are different then with the first. This mommy and I talked all about both of our struggles with breastfeeding...how it was a painful and a battle. It is a natural beautiful thing once it gets going but the beginning seems like none of that will ever be possible. I remember the tears and the struggle in the first few weeks, but there was light at the end and we made it. 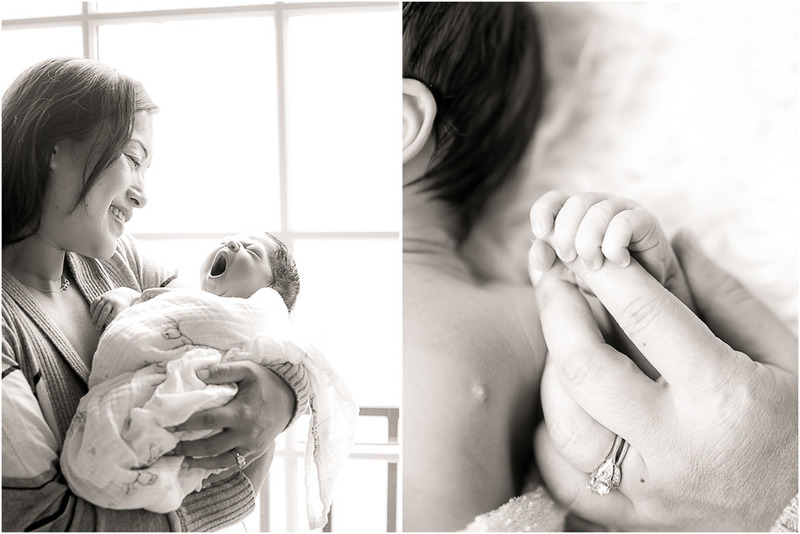 Wishing this mama some good breastfeeding juju...and who knew you could get lactation advice from your photographer! I've been there - and it will get easier and it will not be painful and it will be a beautiful thing. And if the battle is lost just know you did everything you could and the most important thing is to feed your baby, and that can be in the form of breastmilk or formula...whatever it takes to get that baby fed...just remember we are doing the best we can.